Rishikesh: Threats of mobile tower radiations are well known in the urban areas but they are equally threatening lives in the rural areas too. The fruits of development might not have reached the villages but mobile tower radiations have not just sneaked into the lives of the rural people but their hazardous impacts are also being witnessed. Shyampur, a remote village of the Uttarakhand is a veritable example of the fallout of rapid urbanization. Once, the village was known for its highly fertile land but now it has turned into a jungle of concrete with innumerable buildings swallowing most parts of agricultural landscape creating ruffles in the rural life. 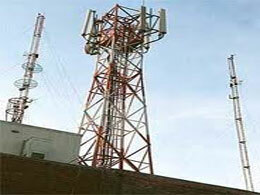 One can witness many mobile towers oozing harmful radiation in the village. There are four such towers in a circumference of just two kilometer in Bhallafarm area. Presence of the towers in residential areas endangering lives of the people. Speaking in this connection, Awwal Singh Kathait, a native of the village, said that many people in the village are complaining health related problems and have also fallen prey to various disease during a span of five years since these mobile towers came up in existence in the area. He further said that he too has suffered continuous bouts of headache, may be due to radiation from these towers. Manoj Vishwakarma from the same village has also complained continuous headache as well as sleeplessness. He was also of the view that they are feeling such problems due to radiation from theses mobile towers. The villagers said that they came to know about the deadly fallout of the radiation from theses mobile towers after popular Hindi daily ‘Dainik Jagran’ launched a campaign named Khatra-e-jaan in this regard.